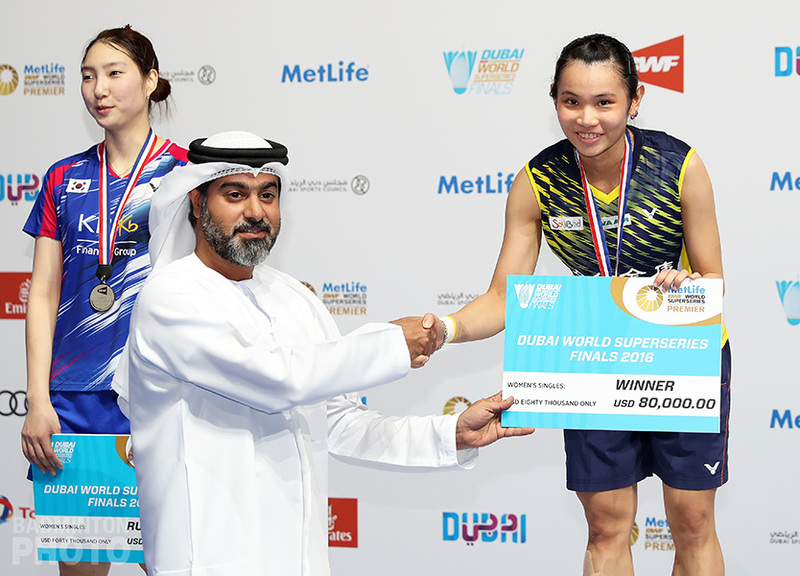 All three World Junior Champions active in the finals of the Asian Junior Badminton Championships, with Japan’s Akane Yamaguchi raising the only objection to a sweep by China. 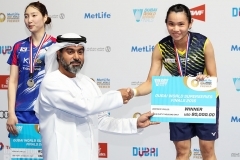 Akane Yamaguchi (pictured) was the only player in action on Sunday at the Asian Junior Badminton Championships who was favoured to beat a Chinese finalist. Finally, she finished off a match with a score befitting her status as the overwhelming favourite to continue winning titles in her last two years as a junior. 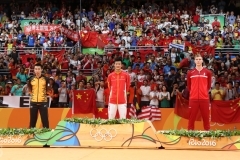 Yamaguchi saw off surprise finalist Chen Yufei to deny China just one title in a week where they took the other four on Sunday to add to their gold in the mixed team event on Tuesday. 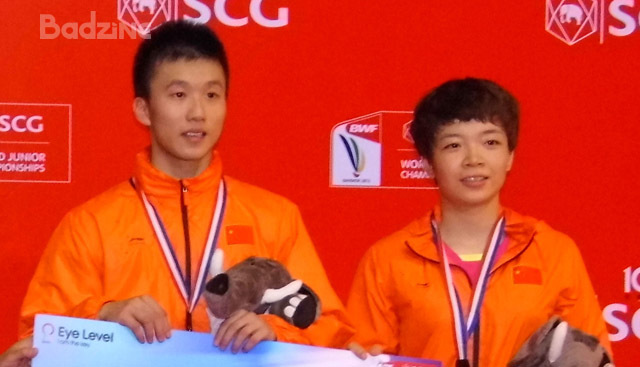 The other World Junior Champions on hand were Huang Kaixiang and Chen Qingchen (pictured). 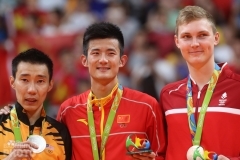 They again struck gold in the mixed doubles, as they had in Bangkok in November. However, unlike on that day, when they each had to settle for silver in their respective finals in level doubles, this time each got an expected second title as well. Huang’s two titles came at the expense of Team Korea, and of Kim Jung Ho in particular. Chen’s girls’ doubles win, with 2013 Asian Junior Champion Jia Yifan, was against compatriots Du Yue / Li Yinhui. 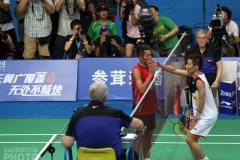 Japan actually had another chance at a title but Kanta Tsuneyama was unable to follow up on his first game victory and ceded the boys’ singles title to Shi Yuqi. Shi is the first Chinese winner of a major junior boys’ singles title since Huang Yuxiang won this event four years ago. 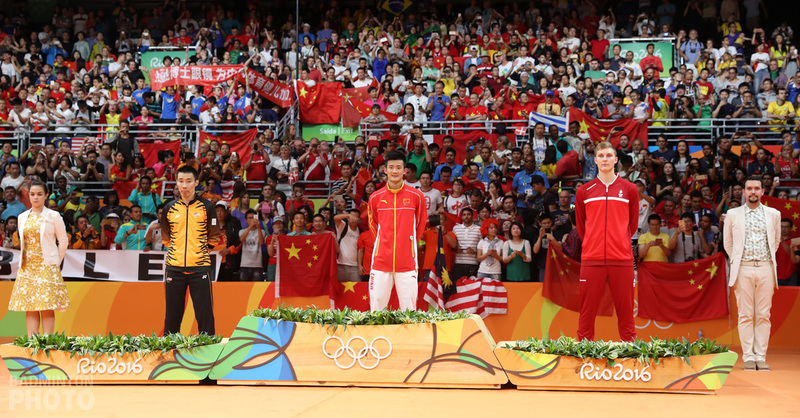 Both the Asian and World Juniors are being held early this year as they are qualifying events for this summer’s Youth Olympic Games in Nanjing.